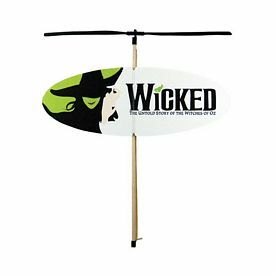 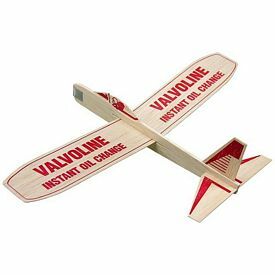 Executive Advertising can aid you with various promotional flyers and gliders customized with your business logo. 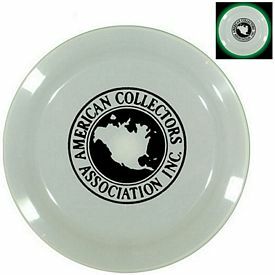 The promotional Saturn 7 inch flying disc has a unique design. 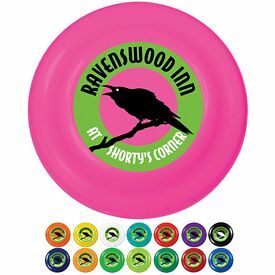 You can put your corporate logo on the central disc. 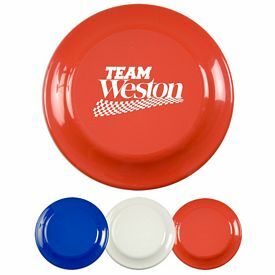 A custom Flying disc is great for family outings and picnics. 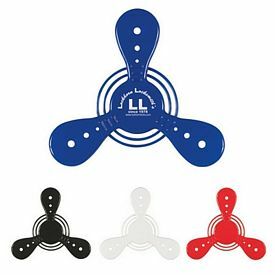 You can get the flying saucers in white, blue, black, or red. 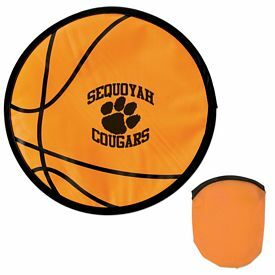 Free artwork eproof will be done and no set up fees will be charged on our promotional products. 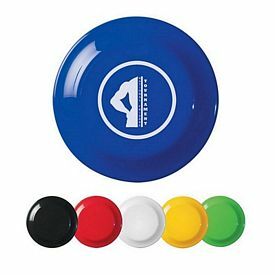 We will deliver the promotional flying disc with a free 24 hour rush service. 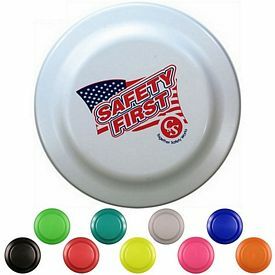 The 9.5 inch large promotional flying disc is made in the USA. 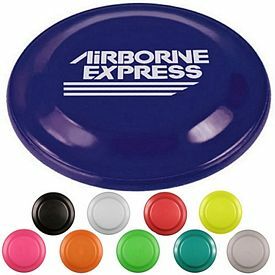 The customized flying saucers have a hard metallic design. 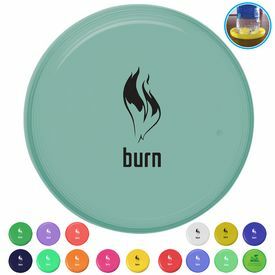 We provide an imprint area of 5 inches diameter on the promo flying disc. 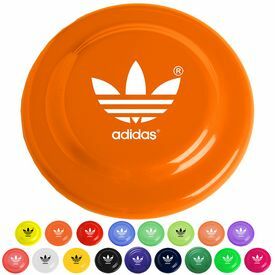 The colors available are white, lime green, blue, yellow, black, or red. 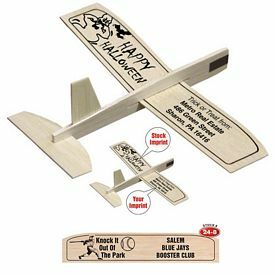 The price of the promotional flyer includes one free color logo imprint, free artwork eproof, and no setup fees are charged. 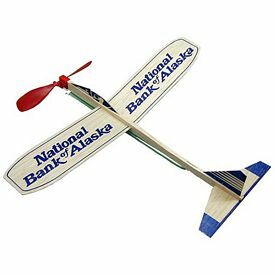 If you want something small and nice, then go for the mini promotional flyers and gliders. 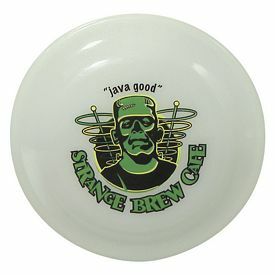 The 5 inch diameter custom flyers have a hard plastic design. 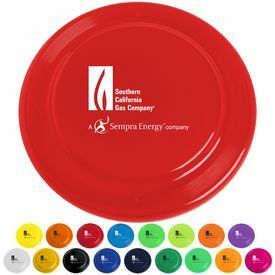 There is a free one color logo imprint along with a free artwork eproof. 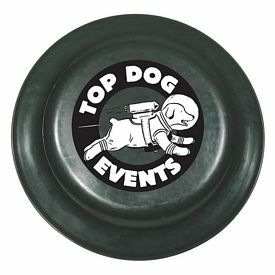 Screen print will be done for the logos. 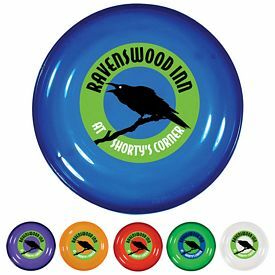 You can order the custom flyers in various colors like white, lime green, blue, black, or red, with a free 24 hour rush service. 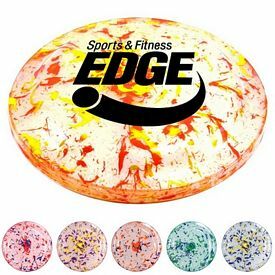 You can try out the customized 10 inch flying disc. 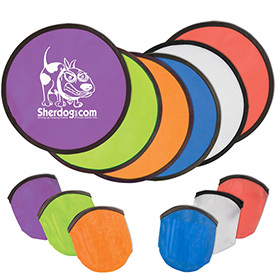 The can be folded to fit into the given matching pouch. 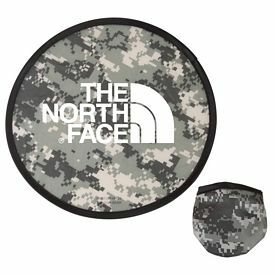 The material is lightweight nylon. 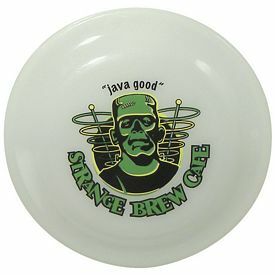 You can choose an imprint area on the pouch or on the disc. 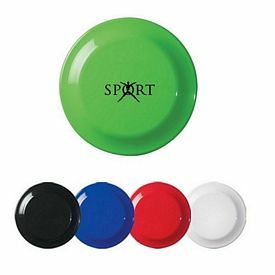 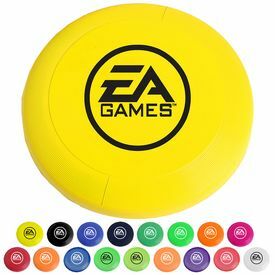 You will get the promotional flying disc in colors like yellow, green, royal blue, purple, red, or white, with a black trim. 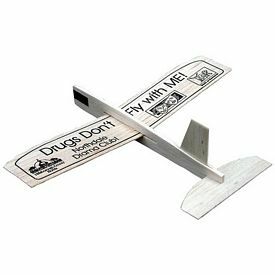 The custom flexi-flyers with pouches are exceptional promotional flyers. 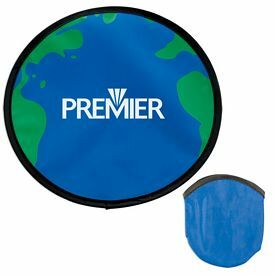 The nylon disc is foldable. 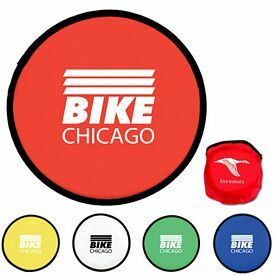 The 10 inch diameter promotional flyers provide a large imprint area. 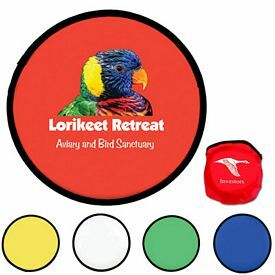 You can do an imprint on the matching pouch as well. 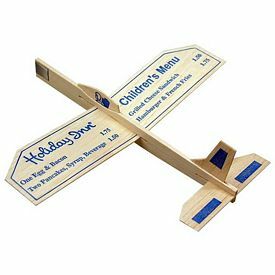 We will do a free one color silk screen imprint on the customized flyers. 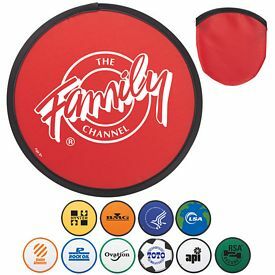 You can upgrade to full color digital printing. 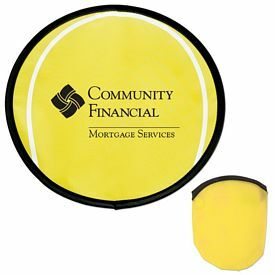 The promo Golf flexible flyer is one of our exclusive customized round flyers. 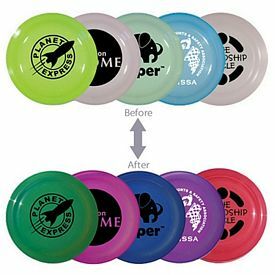 The logoed flyers are made of 210D nylon and have a golf ball dimple stock art. 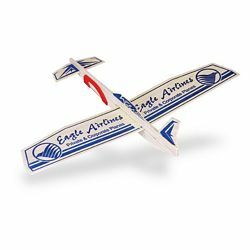 The foldable promotional flyers come with matching cases. 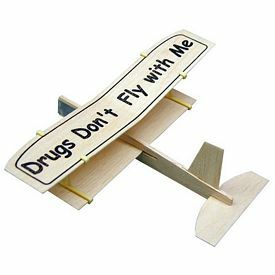 We will insert the flyers into the pouches at a small charge. 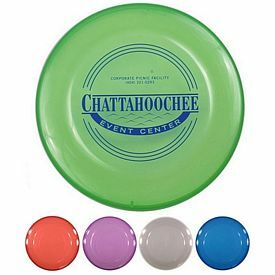 The customized flyers are colored white and have an imprint area of 4-1/2" diameter on the flyer. 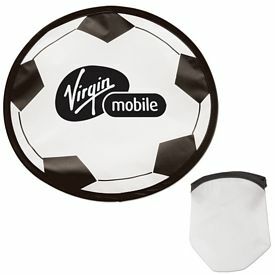 The customized Soccer flexible flyer is made of 210D folding nylon. 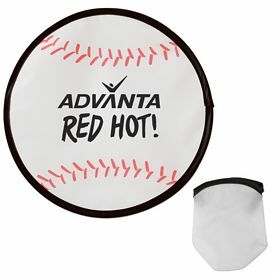 You will get a free white matching pouch, free one color logo imprint, and free artwork eproof. 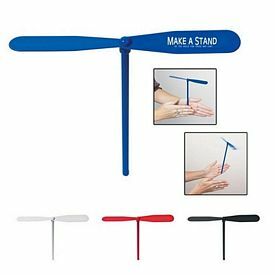 The promotional flyers will reach you with free 24 hour rush service. 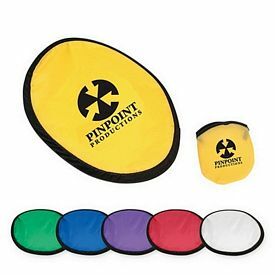 The promotional Inflatable opaque Frisbee is a popular promotional Frisbee in football games, sporting events, and school spirit functions. 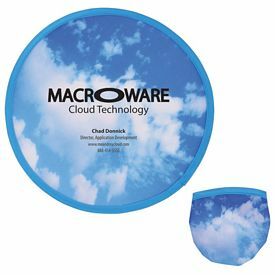 The 10 inch diameter inflatable Frisbee is not just a toy. 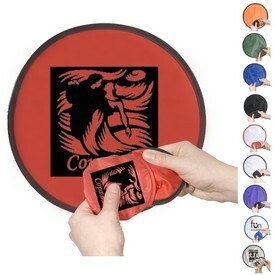 The custom vinyl Frisbee can be got in colors like opaque clear, blue, pink, purple, and solid red.